Lucy Nguyen Casey, PA-C, our beloved physician assistant, is quickly becoming known in Santa Barbara for her thorough and skilled care. Though her training is broad, her strong interest since graduate school has been in surgical and cosmetic dermatology. She has worked and trained with Dr. Sengelmann to hone her technical dermatologic surgery skills for over 9 years. 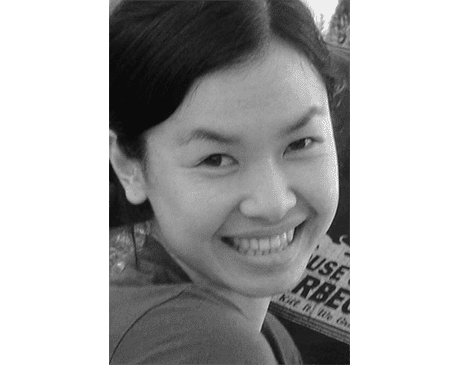 Lucy was born and raised in San Jose, California, a first generation Vietnamese-American. She attended LeMoyne College in Syracuse, NY, where she earned her Master’s of Science in Physician Assistant Studies. Before joining Dr. Sengelmann, she did many dermatologic internships in the Bay Area and Southern California. She is an active member of the American Academy of Physician Assistants, as well as the Society of Dermatology Physician Assistants. She resides in Santa Barbara with her husband and two children. In her free time, Lucy enjoys sailing, scrapbooking, and flying with her husband who is a helicopter and fixed-wing pilot.